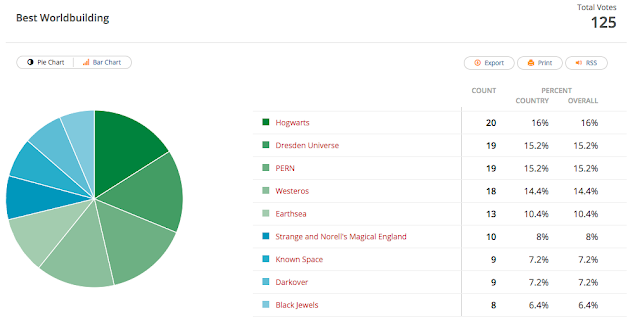 Congratulations to Hogwarts, Dresden, PERN, Westeros, and Earthsea. They will be going on to the final round (in a couple of weeks). Magical England, Known Space, Darkover, and Black Jewels did fandamntastic just to get on a poll with so many nominations. Look for the poll for the second semifinal round–going up later today.